Delivered new to Maranello Concessionaires in June of 1963, chassis 4725SA was the fourth and final 330 LMB built. This car is the only one with significant competition history. Entered in the the 1963 24 Hours of Le Mans, this car was driven to 5th overall and class victory by Jack Sears and Mike Salmon. 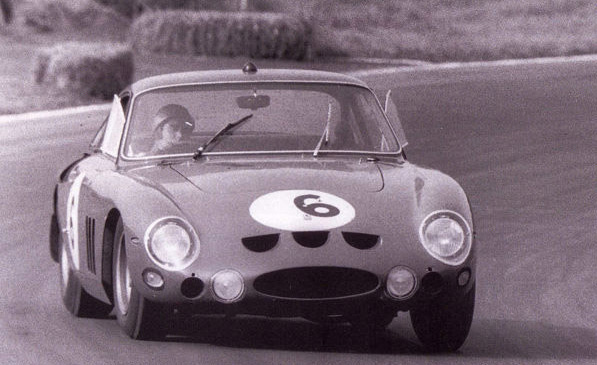 The car was renown for exceeding 300 km/h down the Mulsanne straight - eclipsing the 250P and the GTO. Lorenzo Bandini later drove the car to 8th overall and another class win in the Guard's Trophy at Brands Hatch. Before the year was out, the car was sold to France where it passed through various hands before it joined Pierre Bardinon's spectacular Mas du Clos Collection. Some twenty years later, Bardinon sold the car and after spells in Japan and Austria it was supplied to another great Ferrari collector, Sir Anthony Bamford by Talacrest. The car was sold in 2008 and once again Talacrest acquired the car and sold it to a collector in Europe. We have just bought the car back into stock and are privileged to be able to offer this car for sale - the most successful of all the Ferrari 330 LMB and the only right hand drive example.